The term Predictive Maintenance describes a system initially developed in industry 4.0, which can be looked upon as a core component of industry 4.0. 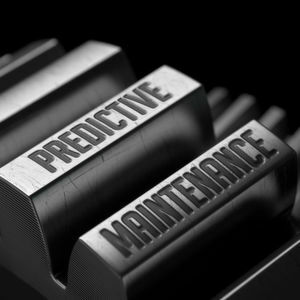 Predictive Maintenance describes a forward-looking approach in which machines and systems are maintained proactively and on the basis of permanently collected data. Predictive Maintenance can thus effectively shorten and reduce downtimes. Essential for this is the comprehensive data acquisition during production. The term Predictive Maintenance has its origins in industry 4.0 and it is hard to imagine today's smart production without it. Predictive Maintenance basically involves using measurement data from machines and systems in order to be able to determine the maintenance intervals of the individual components and machines based on this data. The aim of Predictive Maintenance is always to maintain the machines and systems proactively and with foresight, so that downtimes can be minimized and maintenance costs can also be reduced to a minimum. Ideally, Predictive Maintenance can accurately predict disruptions and problems so that a company can act before real outages occur, leading to persistent problems. As a result of Predictive Maintenance, production times and the service life of the machines used can be extended, as maintenance is always "on point". In addition, excessive costs can be effectively prevented by unnecessary maintenance intervals. Predictive Maintenance is an industry 4.0 tool that strengthens the productivity and effectiveness of production and provides companies with targeted information about the entire machine and plant park. Traditional maintenance was usually understood in a reactive way. Although reactive maintenance is very easy to implement, it poses a significant risk to companies. Only when errors and malfunctions occur does the system react and the problem is analyzed and the necessary corrective action taken. In contrast to Predictive Maintenance, reactive maintenance can neither prevent nor predict malfunctions, which often leads to considerable downtimes. In the worst case, the urgently needed spare parts for the repair of equipment and machines are not available, which considerably increases downtime. If such a case affects an entire production line or a machine important for the production process, this can in the worst case lead to economic problems for the company. Predictive Maintenance is therefore the safe and, above all, effective variant of maintenance that should now be standard in industry 4.0.